A luxury handmade wicker basket filled with delicious food produces with Yorkshire crisps, fine Belgian Chocolates, Dundee cake, fine wines and much more. A gift basket lovingly made to please. 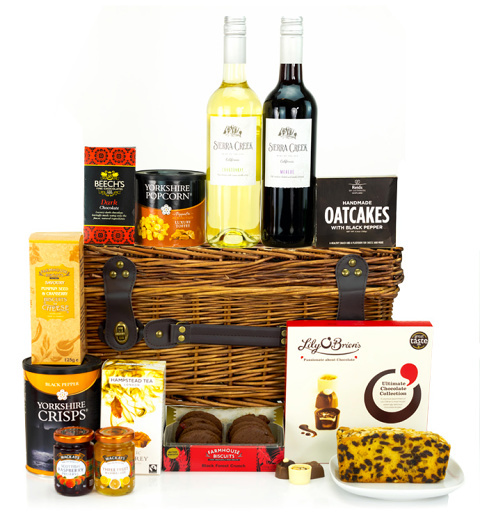 The Gourmet Hamper is available for UK next day delivery.